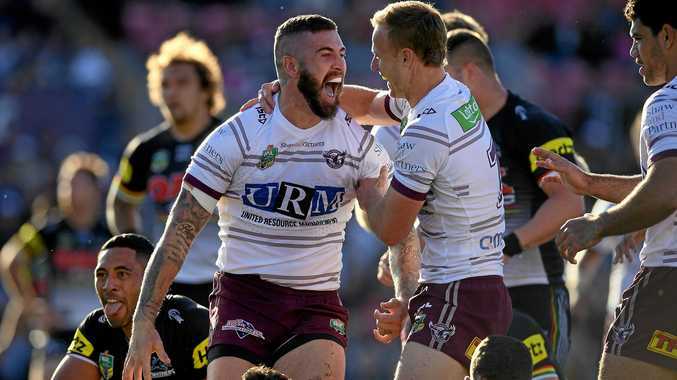 RUGBY LEAGUE: While his 2018 NRL season might have ended at the hands of the Brisbane Broncos yesterday, for Manly Sea Eagles second rower Joel Thompson, the fight is far from over. Thompson, who is a four-time Indigenous All Stars representative, has had a storied battle against mental illness and the various stigmas that surround it. 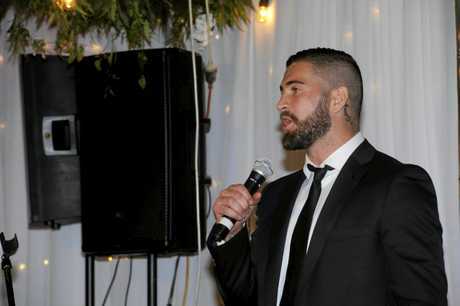 It is a fight that brought the Manly forward to the banks of the Clarence River recently when he spoke out in front of a room of more than 200 people at the inaugural Black Tie Ball. Sharing his story of a broken childhood and a life of broken promises, Thompson sent a clear message: it is not weak to speak out. "The organisers got in contact with me about coming here and speaking, I heard about Grafton struggling in the mental health space and it is something I am so passionate about," Thompson told The Daily Examiner. "It was my birthday only a couple of days ago and I should probably be spending time with my family, but this is something close to my heart and I felt it was the right thing for me to come up and share my story and break that stigma. "I think it is a part of my healing. It gives me gratitude. "What happened has happened, but now I can help others by helping break that stigma down. "I have been able to join in with some great speakers, it has been a great experience." Thompson opened up to the guests on the night about a turbulent childhood, about the boy who was behind the eight ball before he was born. Born to an Aboriginal mother and a Caucasian father, Thompson struggled to find his own identity as a child growing up in a remote indigenous community in Ivanhoe. He also had to deal with a broken home filled with drug abuse, alcohol abuse and physical abuse. A lot of which scarred the now 30-year-old, but a lot of those scars did not truly take their toll until he was already grown up. It also took a toll on his own relationship with the law, with Thompson constantly falling in with the wrong crowd, including when he first entered the NRL with the Canberra Raiders. Negative headlines would follow his every move, and he couldn't find a way to break the cycle. That was until he met his wife, who helped the self-confessed hard man open up and seek help. "When I was at Canberra I struggled a bit. I had no energy and was sort of disconnected with people in my life. I didn't want to talk to people, I just went to training and got my job done and went home," he said. "When things were tough I was drinking by myself and wouldn't know when to stop. "It affected my life, my marriage and it affected my career. My wife knew I need help and encouraged me to talk to someone." That was when life changed for the better for Thompson, and now through his work as a NRL State of Mind ambassador, and with the headspace program Yarn Safe, he is aiming to make sure young males, especially in the indigenous community, know it is okay to speak out. "We can be vulnerable, but people need to understand it is okay to reach out," he said. "It is something we need to get on top of and we need to really start educating and having conversations about. "There are so many great organisations out there only a call away. These places save lives every day." While he knows it is not always easy, Thompson has seen real change since he started using his pain for the better. He has heard hundreds of positive stories where people have utilised his words and gone out to find the help they desperately needed, and it is something that floors the 1.8m second rower every time. "I have had so many people contact me over the past couple of years to tell me how much I have inspired them to get help and help others," he said. "That is the most important part of this journey for me. It means a lot, it proves to me that I am in this world for a reason, I am here to help people. "It is a special feeling and something rugby league will never give me. "I get more out of helping others than I will ever get out of playing rugby league. But I need to respect that rugby league has given me this platform to be able to do it, now it is just about getting out there to the communities." And speaking about getting out to communities, Thompson has already pledged his services for the Black Tie Ball when it returns next year. 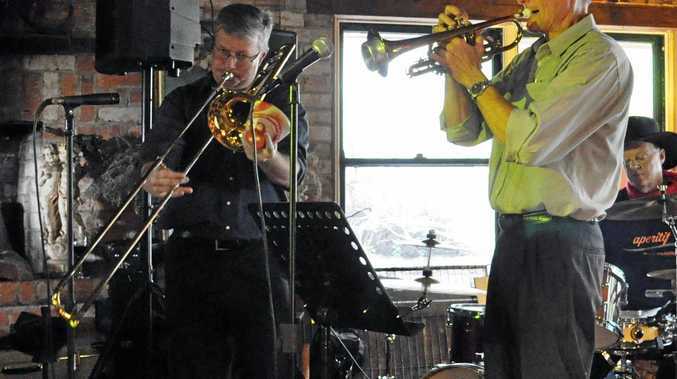 "Of course I'll be back, it is a great place and a strong community and you can see that through the sheer amount of people who have come out to support each other and the conversations I have had with people about how passionate they are for their area," he said. He may even be willing to come for a different reason with Thompson putting his hand up to wear the blue and white of the Grafton Ghosts after his career in the top grade comes to a close.